Businesses are becoming more sophisticated in their social media strategies and investing in powerful platforms to help growing teams to manage multiple channels. 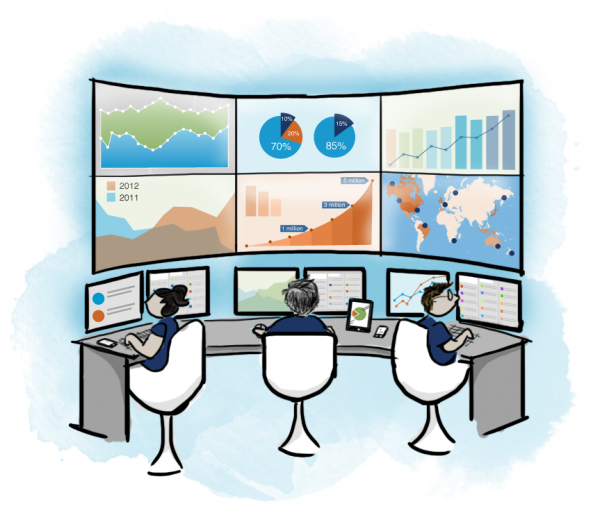 Many have built “command centers” to aggregate information from listening, engagement, publishing, analytics, and routing tools. But do social media command centers deliver real isight, or are they just a distracting “shiny object”? To answer that question, Silicon Valley advisory firm Altimeter researched the state of the social media command centre. Released yesterday, the report presents findings, case studies, and expert recommendations for evaluating, building, and fine-tuning a command center deployment—and planning for the future. Make HootSuite’s social relationship platform part of your command center. Try it free.